The festive season is over. Many of us are scurrying to the Internet to check out the Atkins or GM diet to shed the kilos accumulated during the three months of feasting, beginning with Dussehra in October. 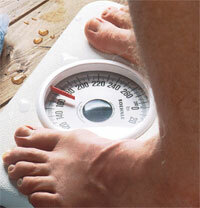 Some have made new year’s resolution to lose weight. Dieting arouses extreme emotions. Some see it as a modern day fad that often does more harm than good. Others see it as a necessity. 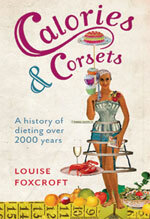 But dieting is not necessarily a modern day phenomenon as Louise Foxcroft writes in Calories and Corsets. Ancient Greeks, following medical philosopher Hippocrates’ prescription, punished their bodies with regular vomiting (ideally provoked by a drink of hyssop, vinegar and salt) and enemas (of saltwater). In fact, the word diet comes from the Greek diaita, an approach to health that linked the mental with the physical. Classical physicians saw being too fat or too thin as a sign of imbalance. Early Christians—seeing gluttony as the most visible of sins—starved themselves to death. Calories and Corsets also shows that the battle for a perfect diet is centuries-old. In Foxcroft’s account physicians who understood the relationship between consumption and corpulence are ranges against “charlatans who offered easy solutions”. Many practitioners who offered sensible advice knew from personal experience that there was no fast route to losing weight and keeping it off: London-based writer William Banting, whose name became synonymous with slimming in the 1860s, published his diet books after struggling to get his weight down from 90 kg to under 70 kg. Foxcroft’s account is dotted with nuggets on corpulence—some of them gruesome. For example, one Daniel Lambert was rolled through the streets in Leicester in England in a wheeled coffin to his grave. He was barely five feet tall and weighed nearly 300 kg. Foxcroft’s anecdotes do have a serious period. Over the 2,000 year period she covers, obesity stopped being a problem for the affluent and became associated with the eating habits— fast food and poor nutrition—of the less well-off. The writer also brings a gender angle to the issue. Poet Lord Byron who had to wage a life-long battle against corpulence once remarked “a woman should never be seen eating and drinking, unless it be lobster salad and champagne, the only truly feminine and becoming viands”. At another time he mocked his former lover Lady Caroline Lamb for her dramatic weight loss after their separation, joking to his mother-in-law that he was “haunted by a skeleton”. In the 20th century food addictions came to be seen as a largely female problem, with women forming the principal target for a multimillion-dollar diet industry: “Nobody Loves a Fat Girl”, an advert for Ry-Krisp in the 1950s warned.